Are you among those preparing for Joint Admission & Matriculation Examination, Jamb 2018 Examination? Then you should be aware that reading the Last Days at Forcados High School is a MUST! Here we have the summary of the novel and we hope it will help all the UTME 2018 Candidates! Please do us a little favour; Click on the G+, twitter, Facebook like buttons below to share this info with your friends. Some JAMB candidates of the Unified Tertiary Matriculation Examination (UTME) 2017/2018 will be taken unawares when they sit for the compulsory English Language examination as JAMB has mandated all registered candidates to read one recommended novel for this year’s UTME. It has been disclosed by the Joint Admission & Matriculation Board, JAMB that questions with 25 marks will be drawn from passages in this novel to test if the students had read them. 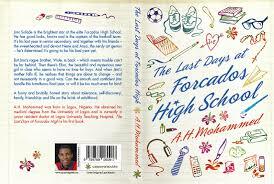 The recommended novel is: “The Last Days at Forcados High School” by A.H. Mohammed. Update: You can now read the Chapter One to Three of the Last Days at Forcados High School Here. “As he begins his final year in senior secondary together with his friends, the sweet-hearted and devout Nene and Ansa, the nerdy art genius, he’s determined it’s going to be his best year yet. But Jimi’s rogue brother, Wole, is back – which means trouble can’t be far behind. Then there’s Efua, the beautiful and mysterious new girl in class who seems to have no time for boys – including Jimi. A funny and honest book about self-discovery, family, friendship, tolerance and the highs and lows of life as a modern Nigerian teenager. Told in straightforward language, A.H. Mohammed never talks down to readers. Instead, Last Days stands out with its realistic situations, original characters and deft storytelling. It is at once entertaining and deadly serious, tackling a range of difficult issues including drug abuse, discrimination and loss, with intelligence and great writing. How to get/Buy The Last Days at ForcadosHigh School? It’s for free after paying for the Jamb scratch card for N5,000.00, (Five thousand naira) at various banks where Jamb scratch card is been sold. To get yours make sure you register at a computer based centres only. If you register at a cyber cafe, you will pay more than that and also won’t get the book (most of them) because they are not authorised to register people for Jamb UTME 2018 Examination… Be warned! 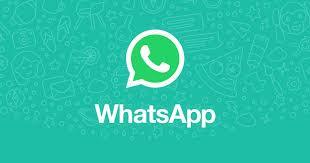 0 Response to "Briefly Summarized of “The Last Days at Forcados High School” for Jamb 2018 DE Aspirants"